By Audrey Golden. Jul 30, 2015. 9:00 AM. For a number of decades, Nigerian fiction has played an important role in expanding our thinking about Anglophone fiction and postcolonial literature. While novels like Chinua Achebe’s Things Fall Apart (1958) have been staples on high school and college literature syllabi for years, more recent texts by young writers like Chimamanda Ngozie Adichie and Teju Cole are helping to redefine the contours of contemporary Nigerian fiction. If you’re planning a trip to Lagos anytime soon, you might pick up one of our top picks for the best books on Nigeria. Setting his novel in the late nineteenth century, Chinua Achebe tells the story of Okonkwo, an Igbo warrior and leader in a fictional Nigerian village known as Umuofia. The narrative traces Okonkwo’s power, fall, and eventual suicide in the face of British colonialism. Achebe was one of the first global novelists to emerge from Nigeria, and his writing has had an enormous impact on postwar fiction. 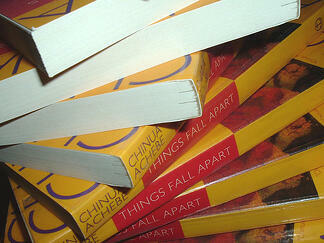 As Achebe explained in an interview, the title of Things Fall Apart drew from the language of a W.B. Yeats poem, and he used it because he “was showing off more than anything else,” having studied English literature in school. “But I liked Yeats,” he also exclaimed, “that wild Irishman. I really loved his love of language, his flow.” Achebe’s Things Fall Apart has grown to be much more than simply a work of fiction and has become a text for helping us to think through the “theory of circles or cycles of civilization,” and the still-lingering effects of colonization in West Africa. Jumping to the mid-20th century, Wole Soyinka’s Aké: The Years of Childhood is a memoir that carries readers into the author’s childhood experiences in a Yoruba village during World War II. Reflecting the impact of Christianity on the country years after Achebe’s Things Fall Apart takes place, Soyinka’s upbringing was a hybrid one influenced by his Christian parents and his grandfather’s Yoruba traditions. Soyinka won the Nobel Prize in Literature in 1986. 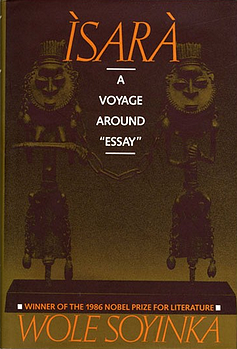 Years later, Soyinka gave an interview in which he reflected on the significance of his upbringing in Aké, the setting for his memoir, and the ways in which politics and decolonization in Nigeria have been reflected in his works. Coming onto the scene in the early 2000s, Chimamanda Ngozi Adichie’s first novel provides another perspective of Christianity in Nigeria and its impact on a contemporary, postcolonial family. We’re introduced to Kambili, the narrator and protagonist of the novel, when she’s fifteen years old. She, her mother, and her brother, Jaja, endure physical abuse at the hands of their Christian zealot father, Eugene, and later learn the power of individuality and freedom while staying at their Aunt Ifeoma’s home. This novel is at once a Bildungsroman, narrating the coming-of-age of its young protagonist, but it is also an exploration of the impact of abuse and gender-based violence in a family dealing with the effects of decolonization and political strife in modern Lagos. In a recent TED talk, Adichie emphasized that there’s no such thing as a “single story” of Nigeria — not in Things Fall Apart or in Purple Hibiscus. Rather, each novel with Nigeria as a setting or focus provides us with one piece of a country’s narrative from which we can begin to construct ideas of nationalism, citizenship, and the role of imperialism in shaping a modern nation.